Mayor's Office, April 15th, 1865 Whereas, We are informed of the death of Abraham Lincoln. 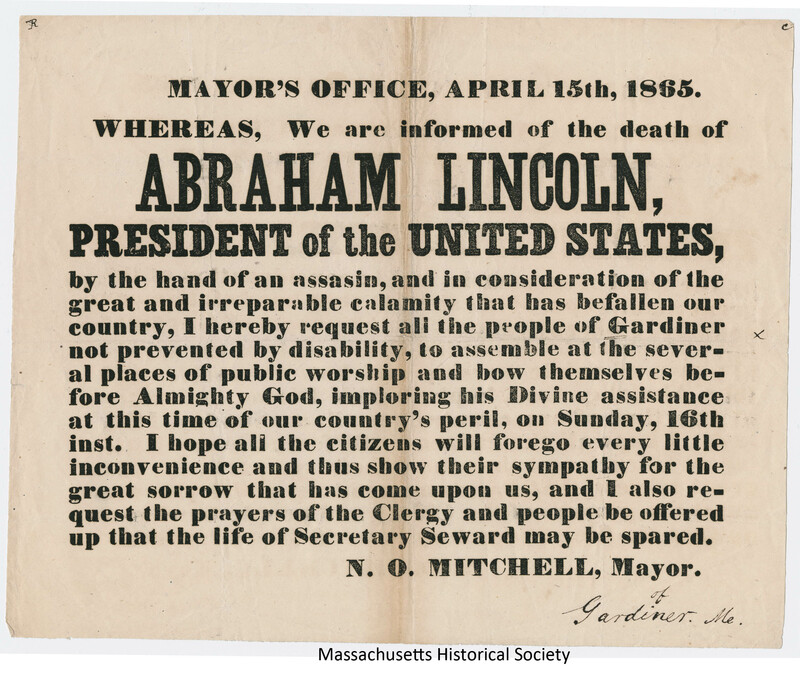 This broadside distributed by the Mayor of Gardiner, Maine, (N. O. Mitchell) focuses on the death of President Lincoln. The broadside asks citizens of the town to gather at their places of worship on April 16, 1865, and pray to God, "imploring his Divine assistance at this time of our great country's peril."